I love the fact that there are four gospel accounts of the life and ministry about Jesus. Each gospel has a different emphasis or theme that seems to run throughout these pages of the Bible. The Gospel of Luke is a detailed and often historical account of the life and death and resurrection of Jesus. The author wrote with a preciseness that is evident when reading. One of the strong themes that come through the pages of Luke is the emphasis on both the humanity of Jesus Christ and His sinless perfection that He lived. Luke emphasizes both of these characteristics about Jesus in a way that shows the compassion that Jesus felt for all people including both the Jews and the Gentiles. It was a difficult task to limit the popular verses in this book but I choose to list verses in three different categories, namely, before the birth of John and Jesus, before Jesus’ earthly ministry began, and finally words during Jesus ministry. Luke 2:14-16 “Glory to God in the highest, and on earth peace among those with whom he is pleased!” When the angels went away from them into heaven, the shepherds said to one another, “Let us go over to Bethlehem and see this thing that has happened, which the Lord has made known to us.” And they went with haste and found Mary and Joseph, and the baby lying in a manger. The Gospel of Luke is a detailed and often historical account of the life and death and resurrection of Jesus. Luke 23:33-34 And when they came to the place that is called The Skull, there they crucified him, and the criminals, one on his right and one on his left. And Jesus said, “Father, forgive them, for they know not what they do.” And they cast lots to divide his garments. Luke 23:46 Then Jesus, calling out with a loud voice, said, “Father, into your hands I commit my spirit!” And having said this he breathed his last. My hope and prayer in writing this article is for you to dig in deep in studying this great book. 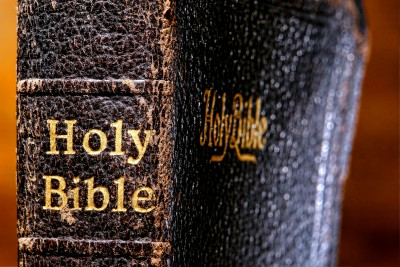 I think it is so valuable to immerse deeply in the study of a book of the Bible. Try to learn as much as you can from a single book. Read through the book on your own and think about what stood out to you as themes or points of emphasis. I also encourage you to read through the entire book in one sitting if possible. This was something that my professors would have us do when I went to Bible College and it was a valuable learning experience and would sometimes give me a different feel for a book than just reading short portions of the same book. May you be blessed in your study of the book of Luke. Wonderful article, Pastor Daryl! The Book of Luke has always been my favorite of the New Testament, as it dealt with Jesus’ Birth, His Ministry, to His Resurrection and His Ascension into Heaven. Thank you for compiling this in such an easy to read format! God bless you, Pastor Daryl, and your family! Thank you so much for providing this article for us!